Glenbrook is a gateway town to the Blue Mountains, it is a busy, thriving village with Glenbrook Park at it's centre. Council has developed a Draft Plan of Management for Glenbrook Park including a Master Plan. The Draft is currently on exhibition awaiting your feedback. The Plan of Management and Master Plan process is driven by the desire to ensure that Glenbrook Park is of a District Park standard. The Draft Plan of management has been informed by the first round of community consultation. The deadline for submissions has been extended to the 1st February, 2017 - 5pm. See below for how you can input. Glenbrook Playground - Under Construction from 30 October! Blue Mountains City Council's approval of the Plan of Management for Glenbrook Park was deferred at the last Council meeting on Tuesday 28 March. • Any impact on the size of the oval. The draft Plan of Management has been amended to strengthen the protection of the trees and to alter the approach to flood mitigation. The amended report and documents is now available on the Council website, this website and for inspection in hard copy for inspection at Council's Libraries and Offices. See the documents to the right to view the document. The revised Glenbrook Park Plan of Management will be presented to the Council Meeting of 2 May. The Council meeting is scheduled to commence at 7.30pm in the Council Chambers, Civic Place, Katoomba. It is open to the public and you are welcome to attend. • pre-send form by email by 4pm on the day of the meeting to council@bmcc.nsw.gov.au. Should you have any queries please contact Elizabeth Dudley-Bestow by email: edudleybestow@bmcc.nsw.gov.au or from Mon 24 April 2017 on (02) 4780 5000.
community land is required to be used and managed in accordance with a Plan of Management. Great Western Highway and comprises five parcels of land and totals some 3.89ha (Figure 1). Council is responsible for its management as Trustee. during the 5 years before the date of his or her appointment. hearing. This document is intended to comprise the hearing report. The report is available for download to the right. The Glenbrook Masterplan is now on Public Exhibition. 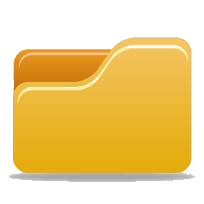 You can view the documents in the document library located on the right side of this page. To make your comments about the Glenbrook Masterplan please use the submission form by clicking here. This document summarises the input received from the Community on Glenbrook Park in the lead up to the preparation of a Plan of Management and Master Plan. How will the input be used? Many of the comments and feedback received have been constructive and will help to drive the future of the park. Not all suggestions can be incorporated into the plans, because they were either unsuitable to the Glenbrook Park area or not within Council’s budget for these projects. A large proportion of the suggestions will be incorporated into the draft documents, which will go up on public exhibition in early 2017 for the community to review prior to them being adopted. How was the input received? What else to provide in Glenbrook Park? A proportion of people asserted that nothing else is needed in Glenbrook Park and no change is required. Other suggestions are shown below. Seating/more picnic/ larger picnic /flower beds. What not to provide in Glenbrook Park? Empty bins more often or provide more/ provide recycling bins. This summary can be downloaded from the document library located on the right hand side of this page. There will be two meetings, held at Glenbrook Park, with the opportunity for community members to share their values, ideas and suggestions. The information collected will be used to inform the draft documents, which will then go on public exhibition. Take this survey and let us know what you think is important about Glenbrook Park. The information gathered will be used to help guide the planning and preparation of the Glenbrook Park Plan of Management. Survey closes 18 March 2016. The Plan of Management (POM) and the Master Plan will aim to provide guidance for the future development and management of Glenbrook Park, with a focus on protecting the existing values of Glenbrook Park while accommodating upgrades and flood mitigation works. Study Area: is bounded by the Great Western Highway to the north; Green Street to the east; Park Street to the south, and Ross Street to the west. Consultation: The Master Plan / POM will be prepared in consultation with local and district communities, stakeholder groups and relevant government agencies. This consultation process will be developed as a key part of informing the design decisions in the draft Master Plan. Public hearing by independant planner - Monday night. This Park Values Survey has now closed. Information received from the first round of consultation have been reviewed and considered. The values are incorporated into the Draft Documents. Went to the October 2016 Council meeting. Council report was available for viewing on Council website the week before the Council meeting. Major community consultation phase including on site meetings, stakeholder meetings, copies in libraries, and on-line opportunities for comment. The revised Glenbrook Park Plan of Management will be presented to the Council Meeting of 2 May 2017. Council report will be avaialble on the Council website the week before the Council meeting; community members can speak with their Councillors prior to the meeting or seek to address the Council meeting.